Top Gadgets For Your Muscle Car! Owning a muscle car is a real trip, and anyone who has one should definitely think about jazzing it up a bit. You can enhance the look to another level by customizing it with different gadgets and accessories. 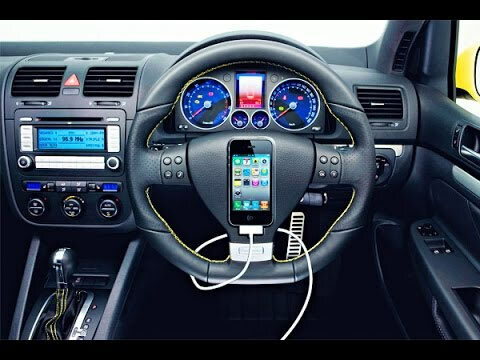 These devices became popular for cars last two years ago. In choosing the best dashboard camera, make sure that is has a GPS. This allows you to check your location with the video. Moreover, pick the one that has excellent resolution. Most of the dashboard cameras today have a Super HD resolution that extends up to 2,304 x 1,296. Of course, it should come with safety features, too. Such of these are lane detection or crash warning indicators. These accessories are useful in monitoring the status of the different parts of your car. Tuning is not recommended to those that are not automotive experts. However, you should consider doing this, as it can provide essential information about your car. Such of these are the engine temperature and tire pressure. Some monitors can even warn you if there are issues in your engines and transmission. You can fully enjoy your driving once your car has a Wi-Fi hotspot. Your smartphone might have a personal hotspot, but still, installing a device to your muscle car is still necessary. You don’t want your phone to run out of data, right? Moreover, if you are traveling with your family, this device will make the journey more enjoyable for them. Choose a personal hotspot device that you can attach to the power socket of your car. In this way, the entire process becomes convenient. Encountering dirt and debris are pretty reasonable, especially if you are driving on off-road terrains. Even on paved roads, these elements are still present. If your car needs quick cleaning, you will need a portable shower. Choose a portable shower that can deliver hot and pressurized spray. Some brands of this accessory such as the Road Shower are powered by the heat of the sun. Therefore, you can save enough juice for it while you are driving! We here in the 51st State Autos know that you carry different devices while you are driving. Of course, it is inevitable for them to drain out of power, especially if you are planning a long trip. This is the reason why your muscle car needs a USB charging port to charge your smartphones and tablets! As a recommendation, choose a charging port that can fit in the cup holder of your car. This design will allow you to have instant access to it. Rolling up the port on your seat or dashboard can be pretty pesky and annoying! The key is the most important part of your car. Without it, you will never be able to drive to your favorite muscle car. We know that once or twice in your life, you lost your car keys already. It is a freaky and spine-tingling situation. After all, this tool is small, which make it difficult to find. This is the reason why you need a key finder. A key finder is an accessory that you will attach to your keychain. Once it is there, you will be able to detect the distance between you and your keys. It will not ping the exact location of your key. However, it can identify the range of the area in where you will search! You should be aware the handling smartphones while driving is deleterious. It has been the cause of many car accidents in the past. If you really need to call someone, then you will need a Bluetooth speakerphone. This device lets you receive and make calls without even touching your smartphone. Moreover, they can offer hands-free control of your phone. Some of the best brands of this device have text-to-speech features too! Blind spots are pretty dangerous, especially if you are driving on stiff corners and dark roads. It can lead to hazardous vehicular accidents. To prevent this problem, you will need to install an 180-degree rearview mirror on your muscle car. Typically, most of the standard rear view mirrors today can only offer a 50-degree field of vision. On the other hand, a 180-degree rearview mirror can give you optimal panoramic view, thus, eliminating the threat of blind spots. Driving can be pretty too. When you came from an arduous trip or overtime from work, being drowsy is inevitable. Of course, it is dangerous if you still have to drive your way back home. If you suffer from this problem from time to time, then you need to install an anti-sleep alarm to your car. This gadget resembles an earphone. When it detects that your head is nodding, it will trigger an alarm. Moreover, you should choose a brand that you can adjust the nodding angle. In this way, you can prevent false alarms. These are some of the gadgets that can increase the ergonomics and functionality of your muscle car. When you have these installed on your vehicle, driving will be more convenient for your part. Moreover, to learn more about muscle cars, always check the 51st State Autos! We have an array of techniques to ensure the quality and integrity of your ride! Related ItemsTop Gadgets For Your Muscle Car!